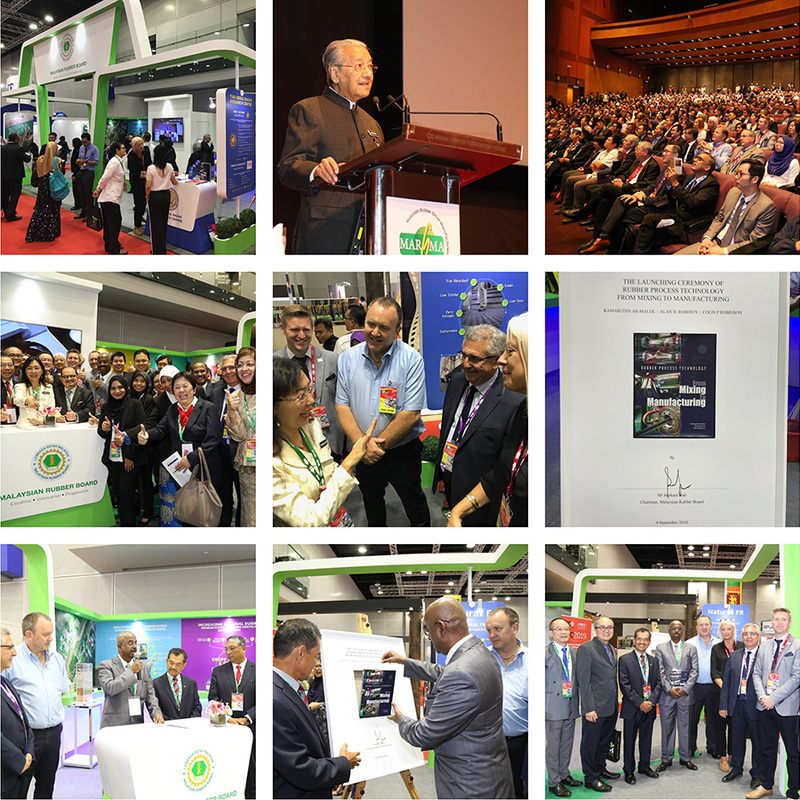 TARRC returned from a very successful and productive week at the International Rubber Conference 2018, held in Kuala Lumpur, Malaysia from 4th - 6th September at the KLCC. Also present at the IRGCE 2018 were Primary Industries Minister the Honourable Madam Teresa Kok, Primary Industries Ministry Secretary General Datuk Zurinah Pawanteh, Malaysian Rubber Board Director General YH Dato’ Dr Zairossani Mohd Nor, Malaysian Rubber Export Promotion Council (MREPC) Chief Executive Officer Low Yoke Kiew, Malaysian Rubber Glove Manufacturers Association (Margma) President Denis Low, PRIM President Pong Kai See and IRGCE 2018 Organising Chairman Lim Kwee Shyan. 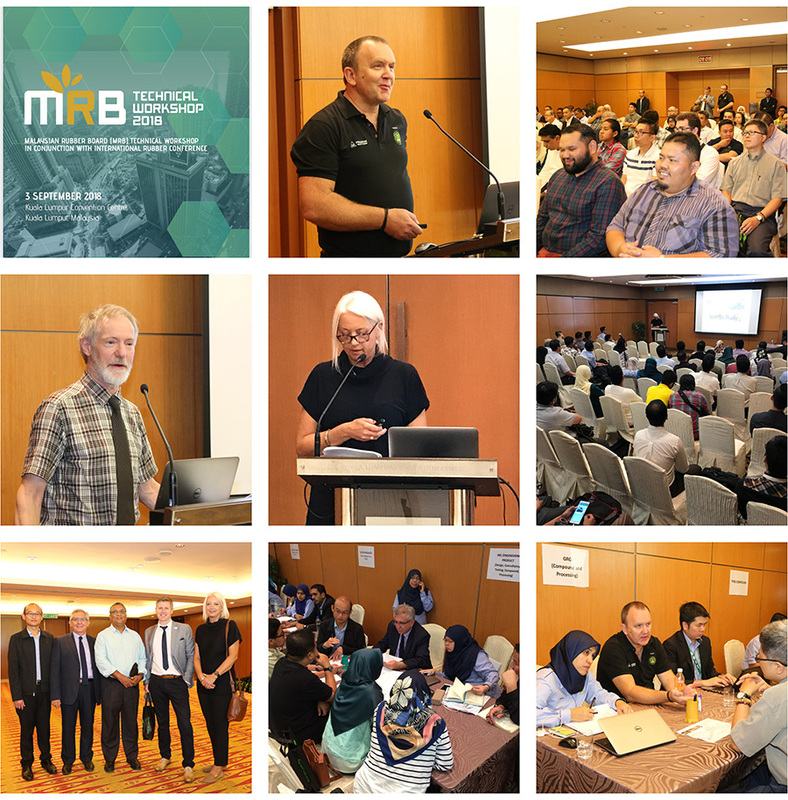 We were delighted that we were able to join our colleagues from the Malaysian Rubber Board (MRB) on their Pavilion (E63) and also participate at the MRB Technical Workshop on Monday 3rd September for the Malaysian rubber industry. After the opening ceremony Teresa Kok visited the exhibition halls including the MRB Pavillion. TARRC was pleased that she was able to meet us on the stand and ask about our activities on behalf of the industry. 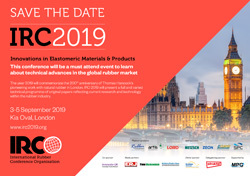 Hamid Ahmadi, Deputy Director of Research of TARRC, and Paul Brown, Head of Advanced Materials, also presented papers on rubber anti-seismic systems and tyre wear. Hamid presented a paper on an innovative rubber antiseismic system for earthquake protection of masonry infill. He reported that after the 2009 L’Aquila earthquake, 35% of the buildings inspected showed significant level of damage to confined masonry infill. Experimental results showed that the introduction of an innovative rubber joint in the wall reduces significantly the in-plane damage to the confined masonry and provide excellent out-of-plane performance in terms of strength and stiffness. During the course of his trip to Malaysia, Hamid Ahmadi also presented to Malaysian manufacturers a range of innovative products that TARRC would wish to commercialise in 2019 through partnership with the Industry. TARRC also sent out a press release announcing its partnership with Endurica aimed at serving developers working with elastomeric products that have durability requirements. The partnership expands the durability testing offerings commercially available at TARRC, and will provide users of Endurica’s durability simulation solutions a new source for material modelling parameters. TARRC will also host future Endurica training events and offer analysis services. Paul’s presentation focussed on the difference between the standard laboratory abrasion tests and real-world service wear, illustrated by recent trials of an all-Ekoprena truck and bus tread compound. In the road trials, the Ekoprena tread compound performed slightly better than the control; in laboratory abrasion, it performed 70-80% better: why the difference? The presentation showed morphology changes observed within the top layer of the worn tread that were not observed in the standard laboratory test. The presentation ended by describing a modified laboratory test that did display similar changes to the rubber structure, however the duration of the test was days, rather than minutes. Ekoprena is the MRB’s carbon-capture low rolling resistance tyre rubber for the tyres of the future. Two of the book's authors were able to be present at the launch, Dato’ Dr Kamarudin Ab-Malek, former CEO of TARRC, and Mr Colin Robinson, TARRC’s senior rubber technologist who is considered a manufacturing expert within the rubber industry. The third author Dr Alan Roberts is TARRC’s former Deputy Director of Research. Guests were then able to enjoy a traditional Malaysian cake made from Pulut kuning (Yellow Glutinous Rice). On Friday 7th September the MRB held a 'Rubber Engineering Course on Seismic Bearing Technology' at the Hevea Academy of Malaysia, Sungai Buloh, at which TARRC's Dr Alan Muhr was one of the teachers. After this course Dr Alan Muhr travelled to Langkawi to inspect the recently completed MRB building in Kuah, Langkawi, that has been protected from earthquakes using NR isolation bearings designed by the MRB. It is graced by rubber-leaf decoration on the exterior with designer furniture in rubber wood throughout the interior.